Living in Denver affords an enviable quality of life that makes it one of the best places to work and raise a family. Denver offers a panoramic view of the Rocky Mountains, the nation’s largest public park system, and 300 days of sunshine a year. Recreation and an active lifestyle are huge, and this is why Denver residents are among the nation’s healthiest. 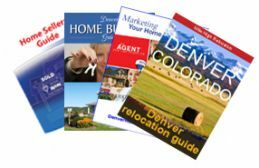 Living in Denver offers distinct advantages for individuals and families that you won't find elsewhere! Denver is the gateway to the Rocky Mountains. It has four distinct seasons, but overall has an exceptional climate year-round! Spring is typically very pleasant with cool nights and an occasional brief snow. Summer is warm, not hot, with many very comfortable evenings and nights. Fall seems to last for months, and is the favorite season of many living in Denver. It's not unlikely to have nice comfortable weather throughout. Winter brings a contrast of sun and snow. Storms are short-lived, and snow melts rapidly. Occasionally Denver has an extended period of snow days, but that is not the norm. Most Winters see typical snow days that come and go quickly, which is why Denver has recorded over 300 days of sunshine every year. The Denver Metro Area is renowned for its overall nice weather, while the mountain areas and ski resorts receive significant annual snowfall, enabling Denver area residents to enjoy an active outdoor lifestyle all year long. An excellent quality of life is critical to the attraction and retention of Denver's dynamic workforce, essential to successful and growing businesses and industries. Denver is a magnet for energetic people in all walks of life for several key reasons. Living in Denver offers reasonable commute times, phenomenal recreational opportunities, a mild 4-season climate, excellent cultural facilities, spectacular scenery, world-class school systems, and an overall healthy populace, that combined makes the Denver area and its front range neighbor cities, an unrivaled and ideal place to call home. Colorado has abundant artistic and cultural resources with broad public and private support. The state is a national leader in funding for the arts, which are greatly supported by the private and non-profit sectors. A small sales tax set aside for culture and the arts was recently renewed by Colorado voters to assure continued enhancement to the community life in Colorado. The Denver Performing Arts Complex is the largest facility of its kind under one roof, outside of New York City. Red Rocks Amphitheater is world-renowned for its concerts venues. Living in Denver provides music and performing arts festivals that include something for everyone - pop, rock, classical, jazz, bluegrass and country western, along with ballet, opera, broadway, and several excellent regional theaters. • 2nd in percent of adults with a college degree, or higher. • 6th in annual days of sunshine. • 6th in households with computers. • 6th for best small business tax climate (according to the Tax Foundation). • 8th highest per capita income. • 10th highest median income. Camping, fishing, hiking, biking, and all sorts of outdoor activities await those living in Denver. Colorado is amazing in this way! It is truly a paradise of many things to do. Denver and all of the Front Range communities share a absolutely gorgeous and natural backdrop of the Rocky Mountains. Most people are very friendly, and this is commonly expressed by visitors to the Mile High City. The Denver area boasts the nation’s largest public park system. There are seemingly endless activities available year-round in this recreational haven. Thousands of acres of open space allow citizens to immerse themselves just minutes from their homes, with the foothills and mountains being just minutes away. Sporting News ranked Denver as one of the top seven best sports cities in the country (2007). Metro Denver is home to the newest and top sports venues in the nation. All were constructed in the past 15 years and are located in or near downtown Denver, revitalizing the Central Platte Valley and the Lower Downtown (LoDo) area into a vibrant entertainment and shopping district.